NASA has transferred software to the Army, potentially saving the government nearly $4 million. James Johnson, left, executive director, Redstone Arsenal U.S. Army Test, Measurement & Diagnostic Equipment, accepted procedures from Patrick Scheuermann, director of NASA’s Marshall Space Flight Center. The Army-NASA collaboration has the potential to save the government nearly $4 million. Marshall routinely collaborates with the Army since the center is located on the campus of Redstone Arsenal. Army officials touring the Metrology and Calibration Laboratory, known as the Marshall MCL, became aware of the extensive development of automated software used for calibration and testing. NASA and the Army conduct millions of calibrations to ensure research and operations work safely and properly. Calibrations are only as good as the measurements and data collected, and the software ensures accurate and repeatable data. NASA is transferring more than 2,400 automated calibration procedures. Originally about 1700 were developed for the Space Shuttle Program with another 300 for general NASA use. Since 2013, 400 were developed for Marshall and are currently being used for NASA programs and projects including the Space Launch System, a new deep exploration rocket managed by Marshall. Jeff Cheatham, senior metrologist at NASA’s Marshall Space Flight Center, developed 2,400 automated software procedures used to calibrate instruments for testing space vehicles and equipment. Marshall transferred this software to the Army for use in calibrating their test instrumentation. This transfer will reduce time the Army would have spent developing its own procedures. 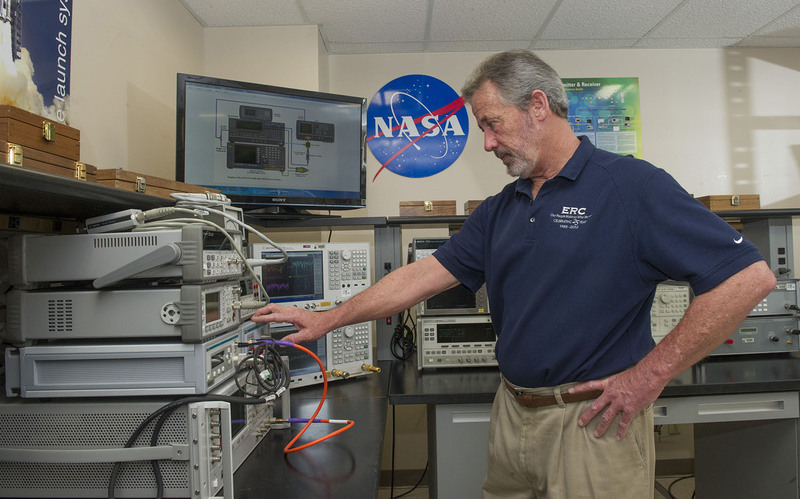 Representatives from the Army’s Test, Measurement and Diagnostic Equipment Activity recognized the time and cost benefits of NASA developed software and formally requested access for Army calibration requirements. 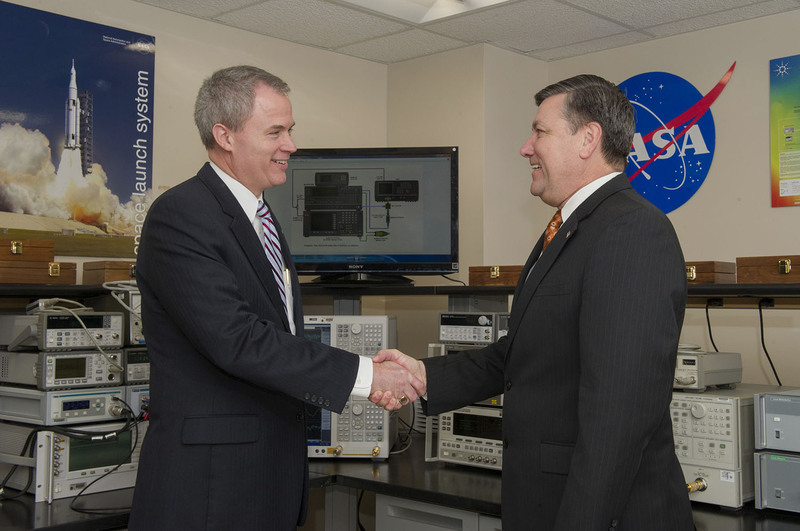 NASA management approved the request and held a transfer ceremony on Jan. 27 with Marshall Center Director Patrick Scheuermann and James B. Johnson Jr., executive director of the U.S. Army Test, Measurement & Diagnostic Equipment Activity. Senior metrologist Jeff Cheatham spent 12 years developing the NASA procedures being transferred. The MCL is part of Marshall’s Engineering Directorate’s Test Laboratory and Cheatham supports the lab through a contract with the Marshall Engineering Technicians and Trades Services contract. The MCL assures NASA maintains the most technically advanced measurement concepts and processes. They measure and analyze data in mechanical, electrical, force and flow. Cheatham developed approximately 2,000 of the procedures while working at NASA’s Kennedy Space Center, in Cape Canaveral, Florida. Since joining Marshall in 2013, he has added more than 400. This transfer is more than just a timesaving initiative. Cheatham’s procedures will improve the overall quality of the Army’s measurements. Each procedure was validated and vetted through a NASA approved software control system, ensuring quality control and process integrity. The MCL continues to automate more manual processes, eliminating human error and increasing efficiency. Other NASA centers have already benefited from Cheatham’s procedures, as they are available to download through NASA Web portals. The Army will be the first non-NASA recipient. It is anticipated this could spark interest from other Department of Defense branches or other government agencies. NASA’s Metrology and Calibration Program has been at the forefront of repurposing space agency hardware, software and knowledge benefiting NASA projects. With Cheatham’s help, equipment was relocated to various NASA centers, including Marshall — a move saving NASA millions.